Ellie and Jay are playing on their family farm when a mysterious creature falls from the sky, injured. 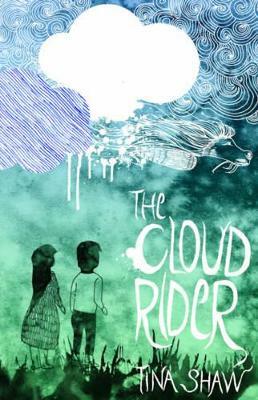 The Cloud Rider needs to get back to the clouds where he belongs or the evil Werrets will take over the sky and create terrible storms. Ellie and Jay realise that it is up to th... read full description below. Tina Shaw is an Auckland-based writer, editor, manuscript assessor, reviewer, literary award judge, writing tutor and Programme Manager for the NZ Society of Authors. Her work for children, young adults and adults has won her several awards, grants and fellowships, including the Creative New Zealand Berlin Writers' Residency. Tina Shaw's other novels in the Nitty Gritty Series are Petronas (level 1), Into the Hinterland (level 2) and Dogs of the Hinterland (level 3).